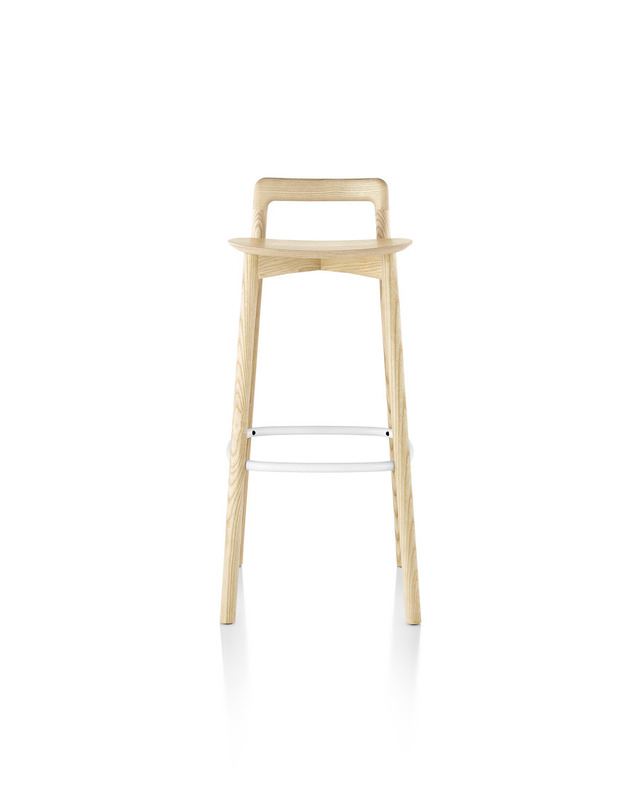 The Branca Stool combines the precision of technology and the warmth of handcraftsmanship. 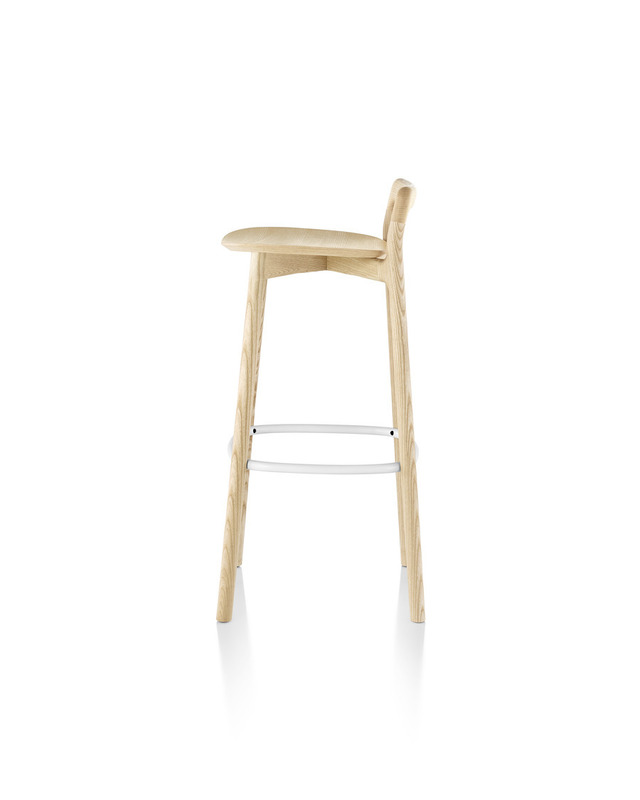 As with its chair and table counterparts, the design found inspiration in the way tree branches (“branca” in Italian) bend, meet, and branch. 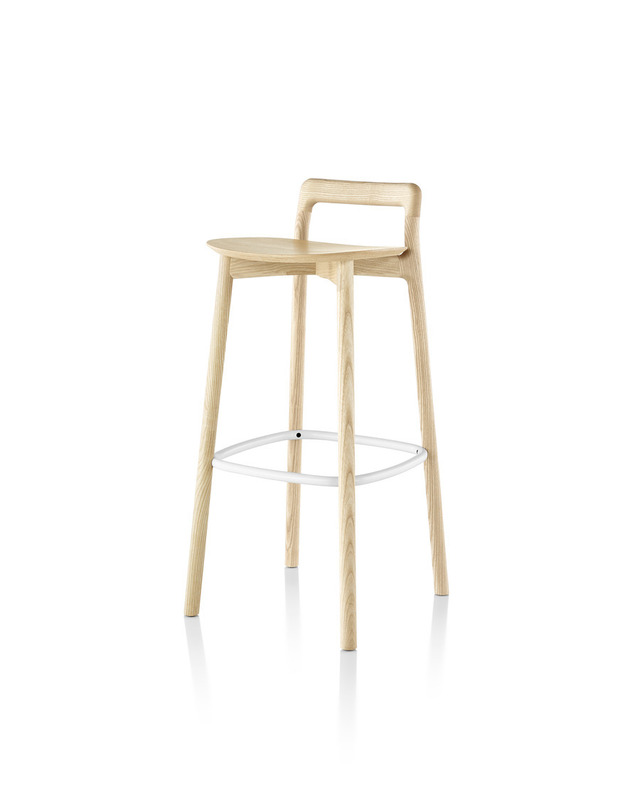 The stool’s slender wood legs join and cross to support a contoured seat, and extend upward to form a supportive backrest. 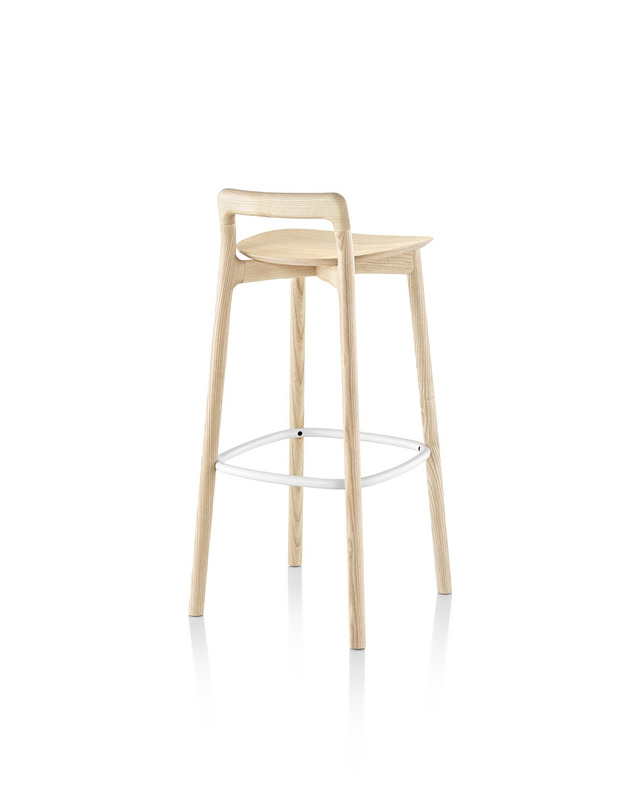 A curved metal footrest replicates the outline of the seat.